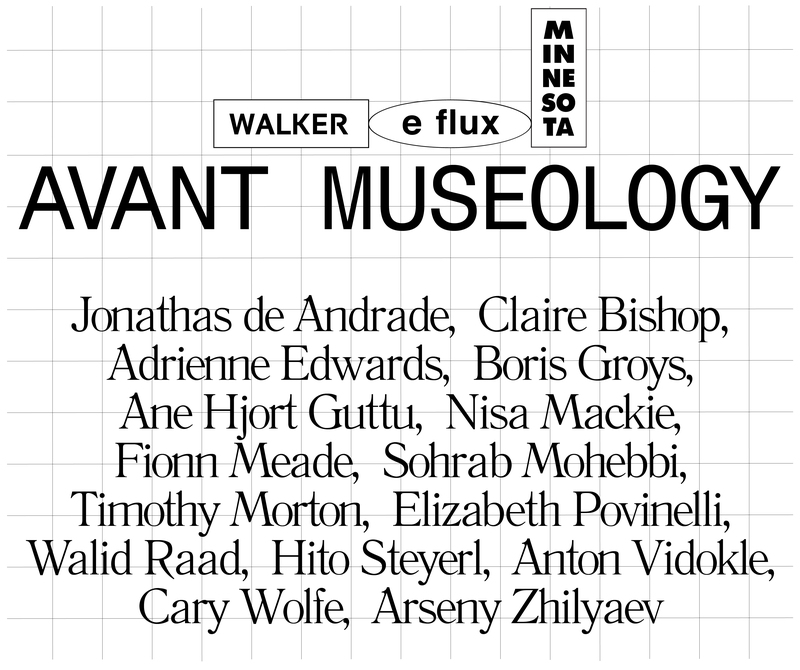 Avant Museology is a two-day symposium co-presented by the Walker Art Center, e-flux, and the University of Minnesota Press. 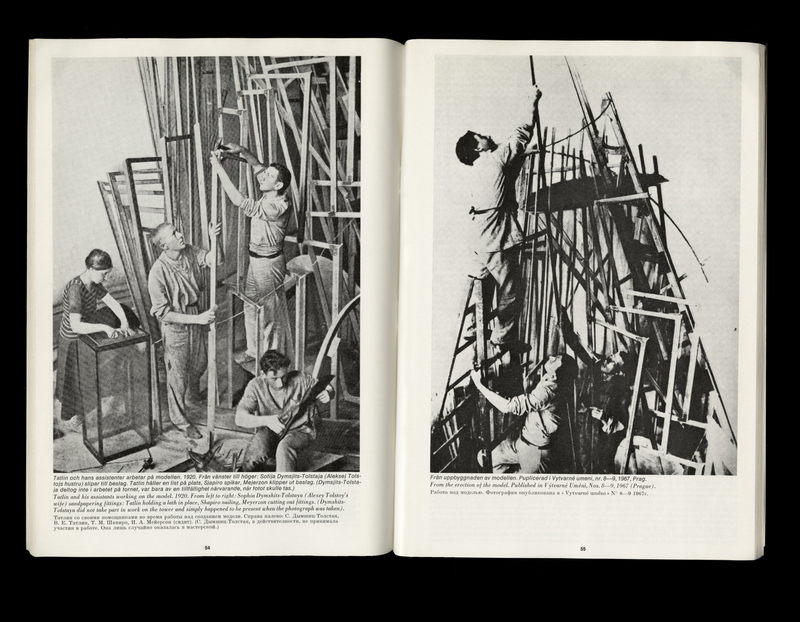 Using the newly published book, Avant-Garde Museology as a point-of-entry, the conference will explore artistic practices, sociopolitical contexts, and historical complexities associated with the contemporary museum. We wanted to create an identity that would serve as a container for the questions posed—a system designed in anticipation of the discourse that the symposium would yield. We were interested in creating a framework capable of representing a range of contributors in addition to the collaborative effort of the institutions involved. The identity intends to place an emphasis on this relationship, providing each with a prominent role within the visual solution, underscoring their role as facilitators but also making their presence tangible. 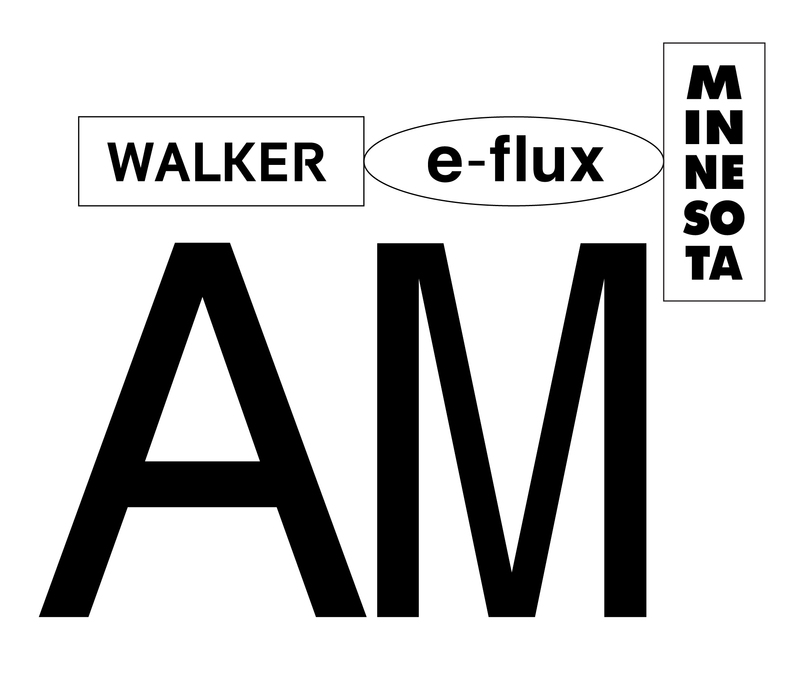 The web-based variant of the identity consists of collected content, generated by the symposium and its contributors. Interpreting the notion of museum as a recording device; the cube becomes a model, rendering, or construct that provides links to publications, essays, artwork, and other supporting material. It is built using markup language (HMTL/CSS) in an effort to remain fluid; a device that is easily adjusted, updated, and interacted with. This was an important aspect in which the resulting form remains true to the medium in which it was created, operating as a dynamic solution as opposed to a representation of the form. Various images, speakers, and links were added as the conference was being finalized, in essence constructing the identity. The grid structure, a reference to the Soviet Avant-garde in its form and ideology, becomes a lattice-like structure that maintains content. The interactive version of the cube is used on the Avant Museology micro site. Drawing a parallel between the program established for the symposium and Rationalist architecture, we were interested in these structures for their experimental nature as well as for their cultural significance. Many of these buildings never materialized in a physical sense, and instead served as speculative constructs of progressivism. We were interested in the socio-political conditions that perpetuated the existence of such platforms: what did it mean for a concept to supersede its manifestation? In addition to the rotating cube, two typefaces were used: one that would reference the ideology in terms of the grid structure, and another referencing the Soviet underpinnings of the symposium—Literaturnaya (Poligraphmash, c.1940) and Monospace 821 (Max Miedinger, c.1957), respectively. Literaturnaya is a Soviet typeface used for many texts until the collapse of the Soviet Union in 1991 (When it was replaced by Times New Roman). Monospace 821, a product of Modernist ideology (The monospace version of Helvetica), was used to reference the uniformity of the grid used throughout the identity. A few early lock-up studies that incorporated various sketches/movement and reference imagery. Avant Museology will be taking place on November 20–21, in conjunction with the Walker’s upcoming exhibition, Question the Wall Itself. Speakers include Jonathas de Andrade, Claire Bishop, Adrienne Edwards, Boris Groys, Ane Hjort Guttu, Wayne Koestenbaum, Nisa Mackie, Fionn Meade, Sohrab Mohebbi, Timothy Morton, Elizabeth Povinelli, Walid Raad, Hito Steyerl, Anton Vidokle, Cary Wolfe, and Arseny Zhilyaev. Tickets can be purchased online at walkerart.org. 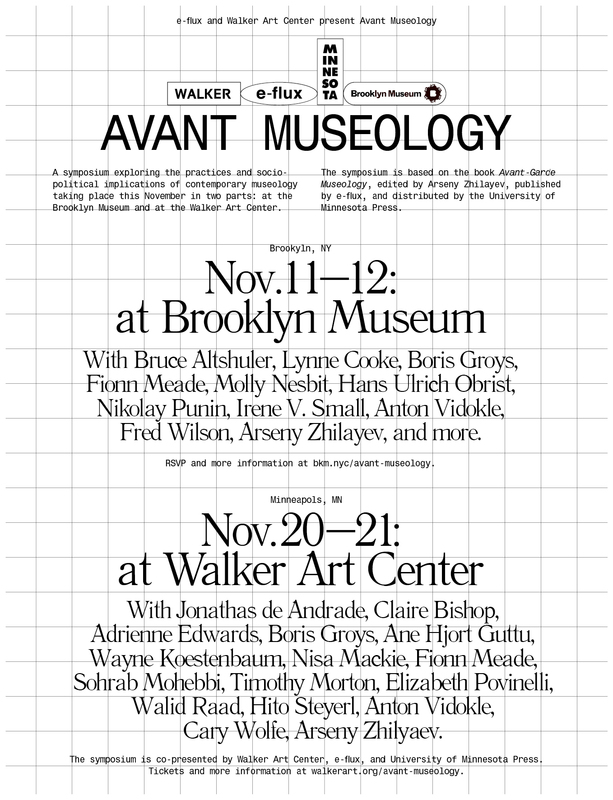 In addition to the symposium at the Walker Art Center, Avant Museology will also take place at the Brooklyn Museum on November 11–12. Speakers include Bruce Altshuler, Lynne Cooke, Boris Groys, Fionn Meade, Molly Nesbit, Hans Ulrich Obrist, Nikolay Punin, Irene V. Small, Anton Vidokle, Fred Wilson, Arseny Zhilayev, and more. 1 Ri︠a︡bushin, A. V., and N. I. Smolina. 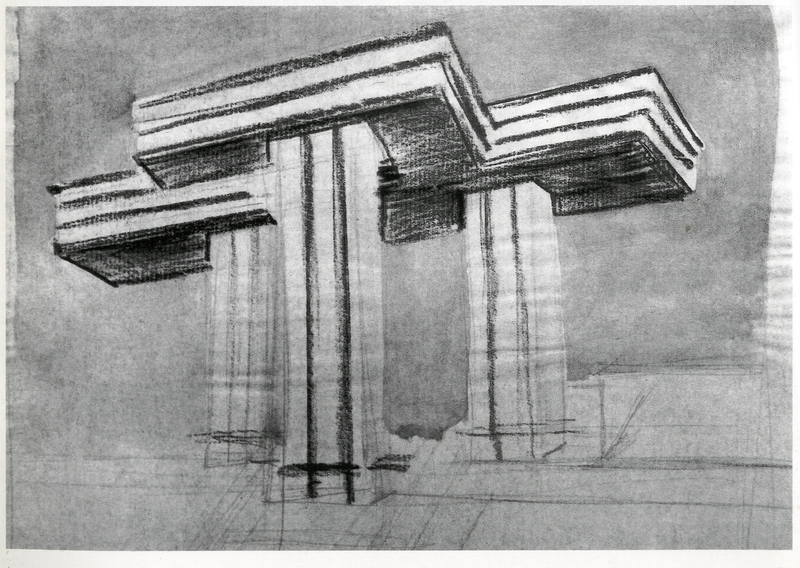 Landmarks of Soviet architecture, 1917-1991. New York: Rizzoli, 1992. Print.